More recently I have modified my catapult into a slingbow, much more easy than carrying a bow around, especially as my catapult is less than half the size of the one in the vid and flat, so fits in my pocket unnoticeably. 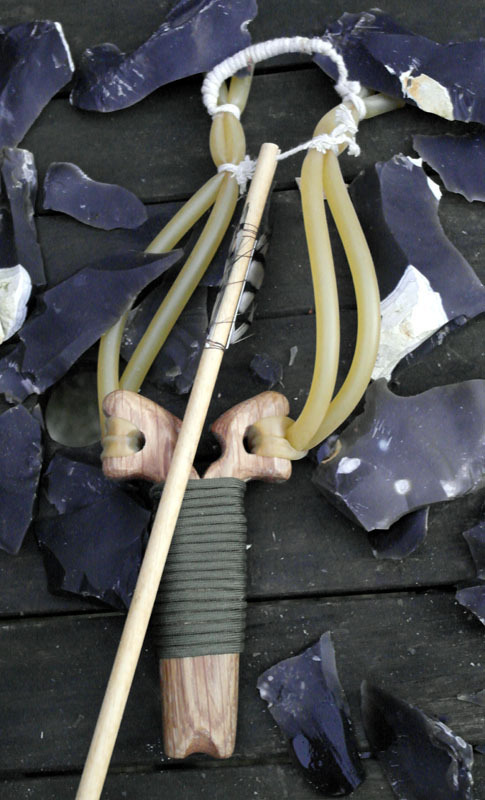 Then if you use takedown arrows with it, which collapse down to 10cm. Portable archery. 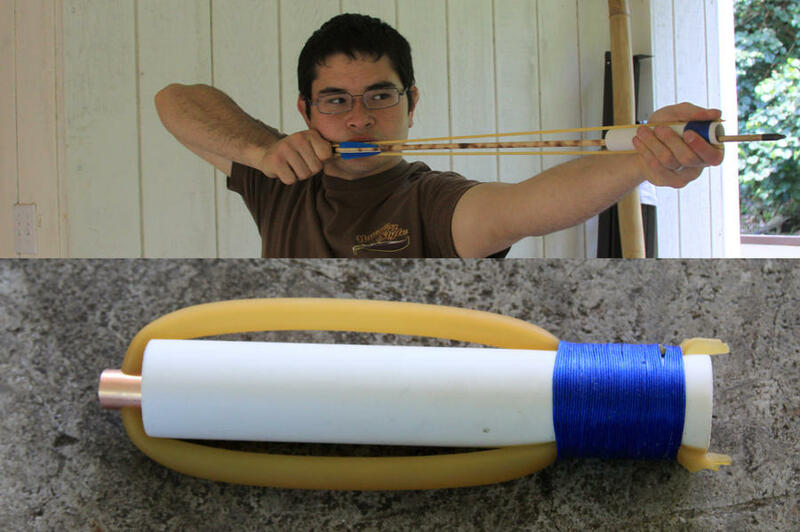 Oooh, damn you, now I want to make a slingbow! I've got to take some photos of the finished bows (I've made two so far) I'll post them soon. love the Catapult G - i wonder if firing it throught a tube would work? the barnacle wrote: love the Catapult G - i wonder if firing it throught a tube would work? You can adjust a regular catapult to be a slingbow as in the vids, but it's a lot of effort, making one is easier. 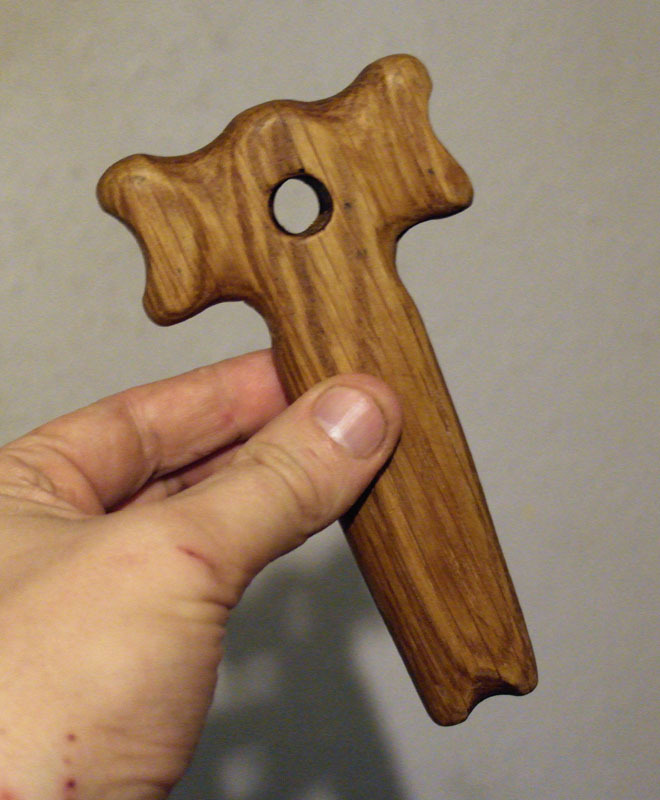 I have seen slingbows made entirely from pipes, I made this from a piece of oak recently so I can unconvert my catapult from the slingbow and start using it as a catapult again. You can also buy a whisker biscuit and build one around that. 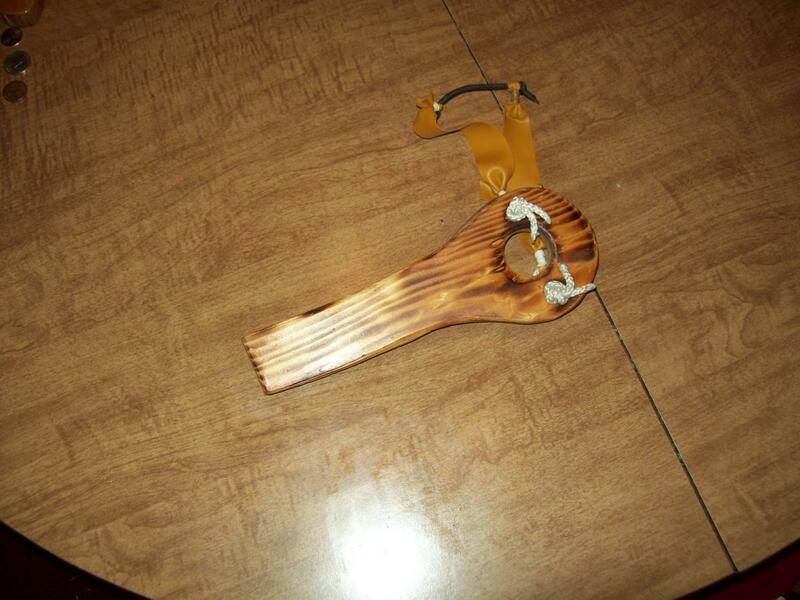 Here's the finished bow, with expanded groove so I can shoot prehistoric arrows with it. 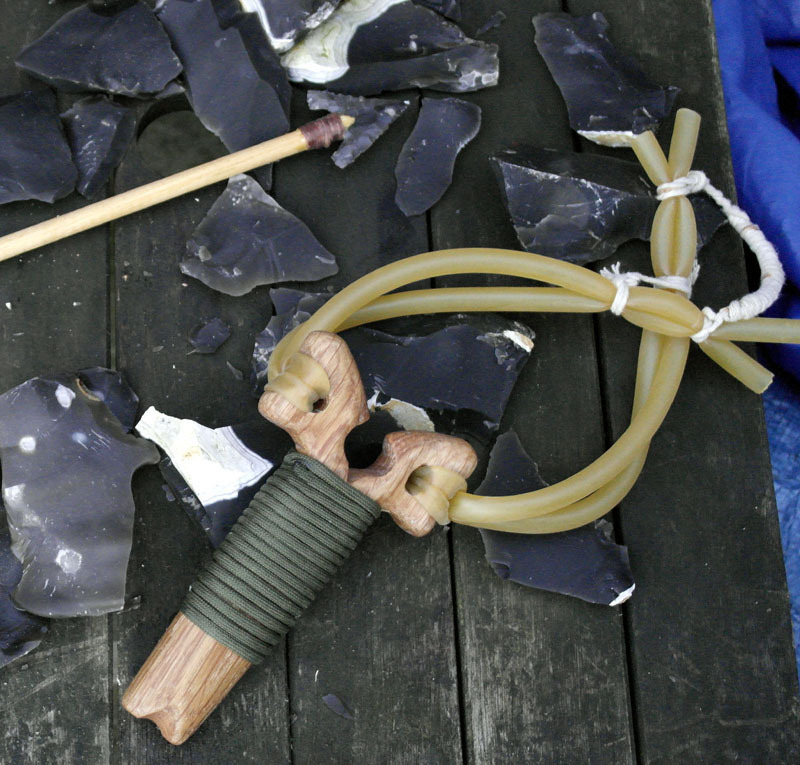 As you can see it had a non-traditional catapult pouch. Instead I fixed it with two pieces of string. 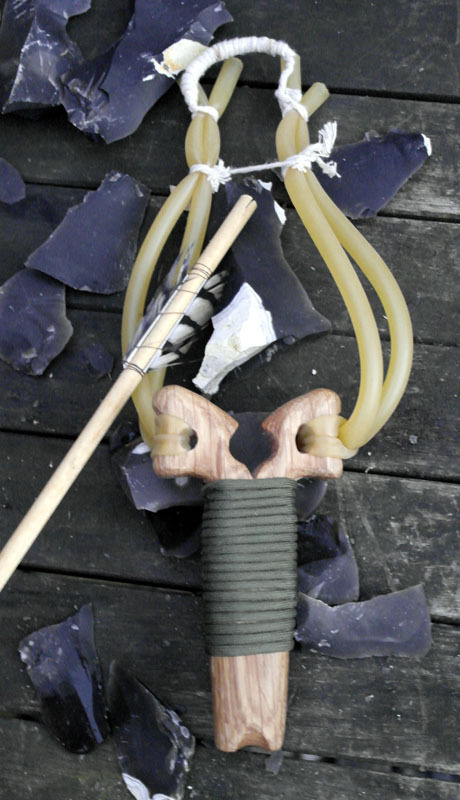 The thicker piece to draw the catapult with and the thinnier to knock the arrowhead on. It has around 40 a pound pull. I can hear it now, thwap... thunk...yeah! Very nice, Parachord wrap sir? Looks like oak too.